With the election behind us it was time to get our Constituency days booked for the year at Westcliffe Mall. If you’ve never come out to a Constituency day before its your opportunity to sit down and meet me in person and tell me about some of the issues that are going on in your community or even talk about an issue that affects your personally. This past weekend my staff and I setup the first of our constituency days at the Westcliffe Mall and met with residents from noon till three. Before we even had our signs up we had people waiting to chat. 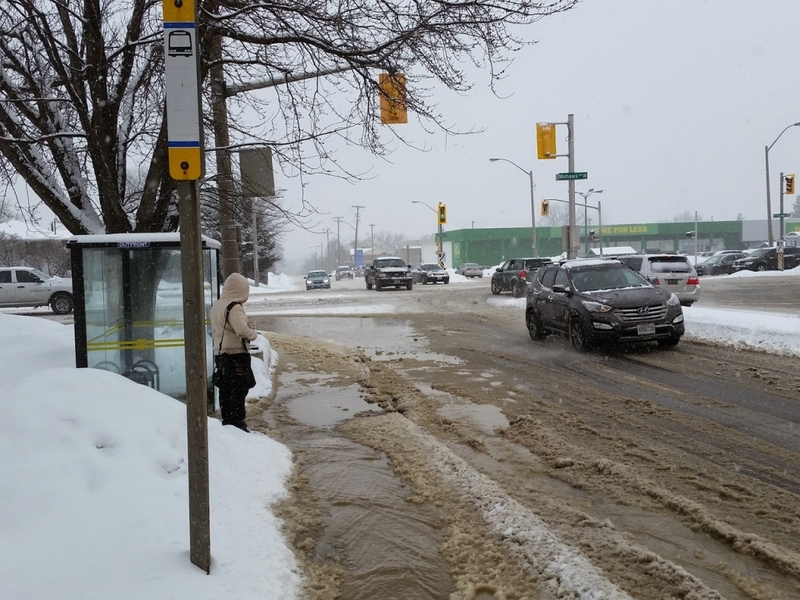 My team and I spoke with residents about snow removal in certain areas, community mailboxes and water issues. Even with the snowfall I was happy to see people came out to chat one on one for the entire time we were there. After the event on my way home Howard and I spotted a fairly deep puddle of water forming on Mohawk and Upper Paradise. After pulling over we discovered a water main break that was spilling water all over the road. A huge thanks to the City Water folks who came out so quickly to patch it up! 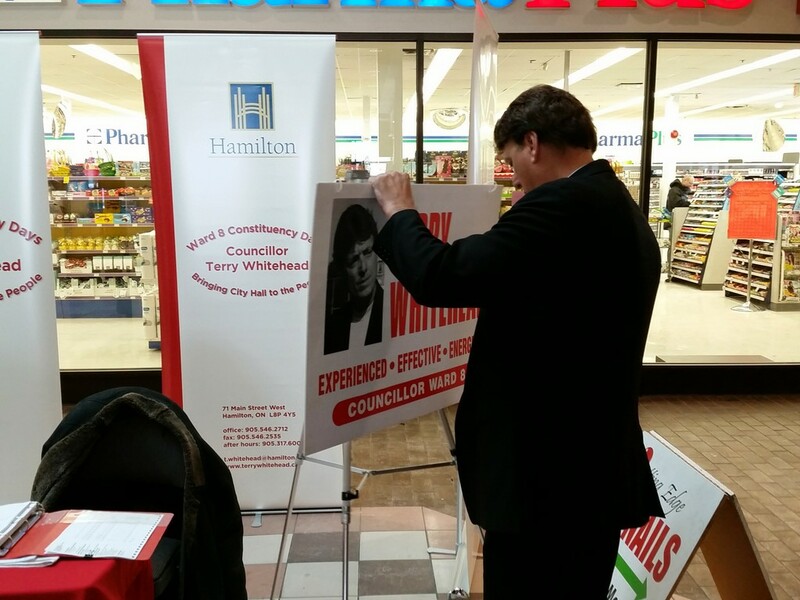 My next constituency day at Westcliffe mall is scheduled for: Saturday March 21st from 12 – 3. No appointment necessary.